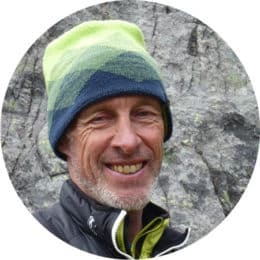 Let Bernd, an IFMGA certified guide, teach you everything he knows about ice climbing, so you can become an expert on it! Allow him to help you improve on your techniques while exploring Karwendel. 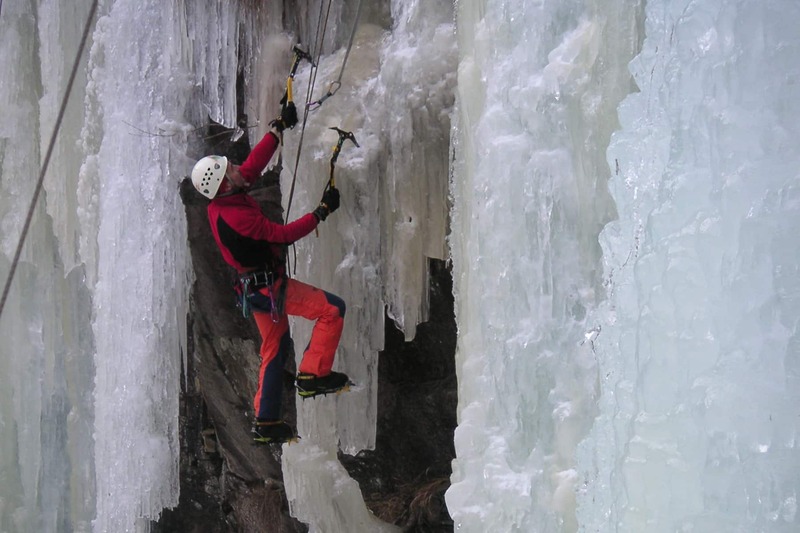 Ice climbing is one of the most complete sports. To practice this activity, you have to use not only your physical strength, but your mental one. But, the rewarding feeling you get when you conquer an ascent, is completely worth it and simply incomparable. I have designed this weekend course in Karwendel for those with previous rock climbing experience. The idea is for you to test your skills and improve your techniques in a safe environment. Upon arrival we will discuss all your expectations for this trip. I also want to make sure I cover all the necessary points based on your previous experience. So after setting everything, we’ll check the equipment or I’ll help you choose the appropriate one if you need to rent anything. If you don’t want to carry your own, there will be everything you need, available for rent. On our second day we will go over some basic contents just to refresh our memory. Then, I’ll help you improve on your steeple and impact technique individually. We will also go over precession training and stand construction. 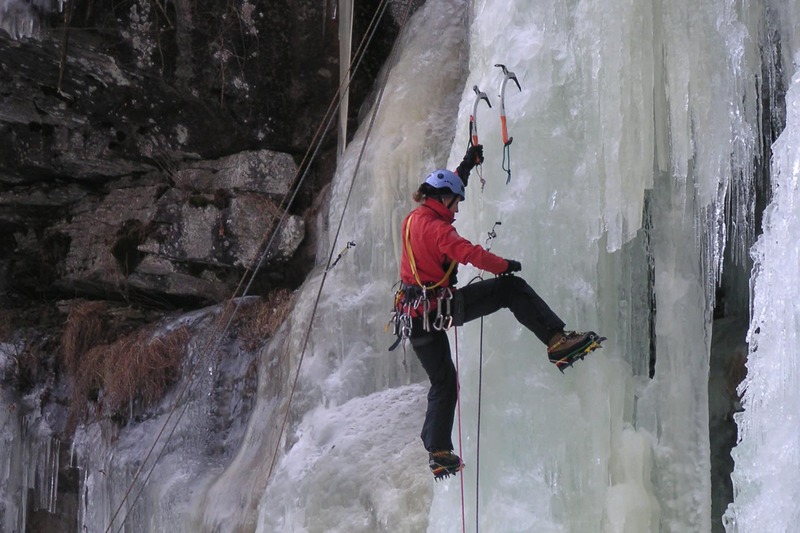 Additionally, we’ll cover how to properly set ice screws in order to accomplish different climbing positions. Also, we’ll work on retreat methods in the ice, for which we’ll do some rappelling. 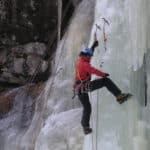 Another very important point we will cover will be the securing technique in ice climbing. Since we will be working with demanding ice techniques, it is very important that we follow all the safety rules necessary. For instance I’ll teach you everything I know to avoid alpine hazards and for proper avalanche assessment. 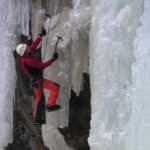 My main goal is that you enjoy this weekend and learn more about ice climbing. So if you are up for the challenge send me a request. It will be my pleasure to help you become an expert. You can also check out this 3-day sport climbing course in Arco that I guide too.